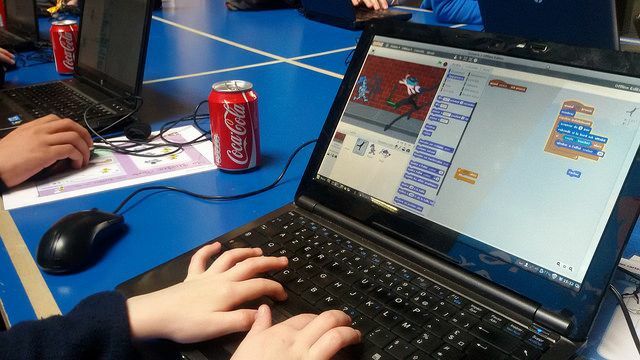 Plenty of children are learning to code through Scratch. This project from the Massachusetts Institute of Technology takes the most fundamental concepts of code, and turns it into a user-friendly, drag-and-drop experience. Things like conditionals (where you perform a task if something meets a criteria) and iteration (where you repeat something for a specified number of times) are turned into bright, colorful jigsaw pieces, which gracefully snap into place. The results of the code are played out in front of you, as an animation or a rudimentary game. Your child will never get a job writing Scratch code for a living, but that’s not the point. It’s to take code, and turn it into something beautiful and visual, and ultimately make it less intimidating for beginners. For teaching the fundamental logic of coding, there’s nothing quite like it.